Web development services help your company increase product knowledge, communicate between with potential clients, sell your products or services, generate leads, increase brand equity and much more. However, web design & development is a demanding task because it is requires designing, coding and modifying a website, from layout to function and many other things that take away from doing your everyday job. 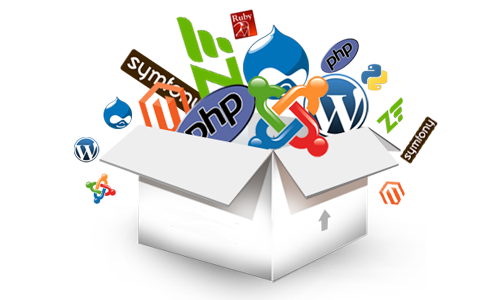 By hiring an Iblesoft web developer you are getting an experienced developer that provides quality and unique services at a cost-effective rate. According to a research, 45% of Google searches are done with the help of a mobile device. Today around 2 billion of people are using smartphones and by 2019 it would increase to around 3 billion people worldwide. Now a days, your phone is not a fashion statement, it is a necessity. That is why regardless of your industry you can profit from a mobile-friendly website and a mobile app. Mobile development can help with customer engagement, branding, accessibility, marketing and promoting your business among many others. So why not use this tool to advance in business. Every client needs an effective database solution that would reduce performance bottlenecks, optimize database design and automation data feeds. Our Database specialists have developed store procedures, performed data mining projects and can help select the best database for your business. Selecting the right database for your project can be a tough decision. If you select the wrong database, you may compromise the quality and overall performance of your software system. Selecting the right database allows you to scale your software, grow your company and gain footing in your target market. Our approach simplifies database management, database automation, database design documents and preserves objects related to core applications. Our Business Analysts have the skills and experiences necessary to deliver the necessary objectives, effectively. They can identify and define business requirements improving processes, adjusting systems or maximizing new opportunities. They can also identify and evaluate relevant solutions while working with other departments like IT, Finance, Sales, Marketing etc. But above all a BA can assure and deliver a real business benefit solution that is profit driven. By hiring our BA resources you are adding a commercially minded, meticulous, intelligent and tech savvy individual to your project at a cost-effective rate. Without having to spread the other team members too thin. Iblesoft is a global leader in providing world class software development services and information technology solutions. With a proven track record of successfully executing numerous prestigious assignments, our developers are dedicated to providing quality deliverables on time, adding value and empowering customers’ business processes. They are trained to ensure that the software they build is specifically designed to help our clients achieve their goals. We know that software systems are a means to an end, so our developers always ensure that the systems they design, deploy, and manage are made to meet specific needs.